A system that collects and/or treats the silage leachate coming from the farm. 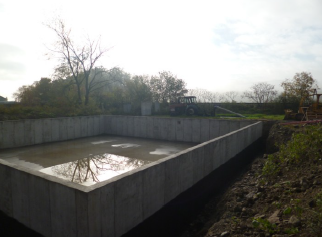 To keep the leachate from getting into the nearby drainage ditches and waterways. 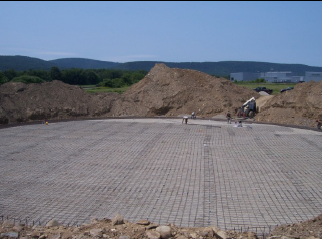 The leachate contains high concentrations of sugars and nutrients that can deplete oxygen, kill fish and aquatic organisms. If there is a groundwater contamination, there can be an unpleasant odor and can increase the ammonia, nitrates, acidity, and mineral levels. For this reason if there is a poorly managed system near a well, they are at high risk for negative impacts. 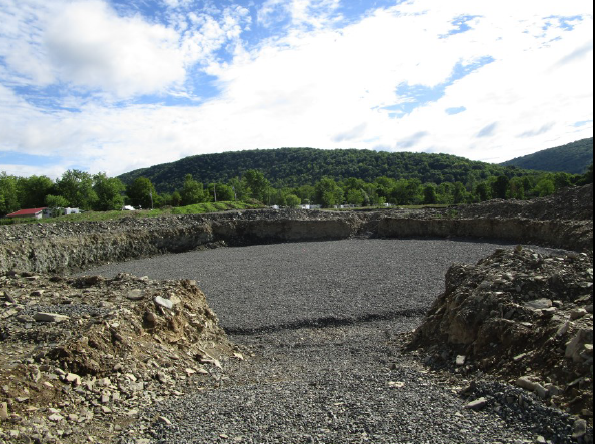 The SWCD was able to obtain New York State Agricultural Nonpoint Source funding and partner those funds with the USDA Natural Resource Conservation Service’s Environmental Quality Incentives Program funding to assist in cost-sharing a concrete total collection silage leachate storage system on the Vance Farm. 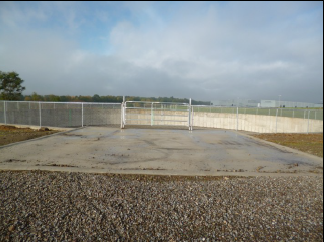 A joint project was completed on the Lloyds USA Development farm in the Town of Chemung , Chemung County. This project involved funding from the New York State Agricultural Nonpoint Source Grant fund, federal cost share funding from the Environmental Quality Incentives Program through the Natural Resource Conservation Service Waverly Field Office, and a substantial amount of funding from the farm itself. 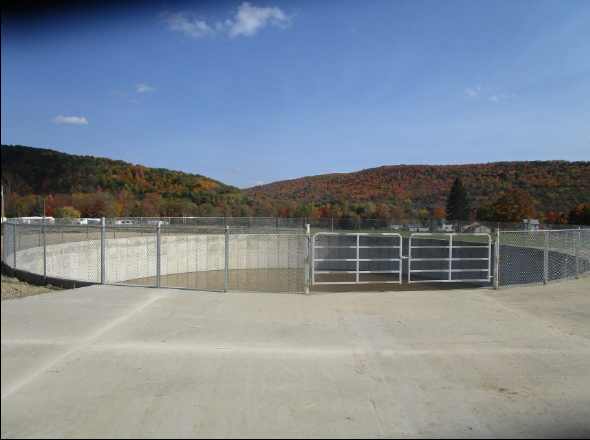 This large scale project involved the construction of a 2.2 million gallon manure storage, and a 189,000 gallon total collection silage leachate collec-tion system, which is the first one in Chemung County. 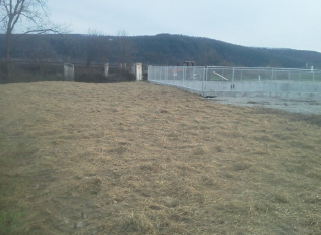 A coordinated effort was led by Jessica Skinner, of Jess Engineering along with the Schuyler County Soil and Water Conservation District, Chemung County Soil and Water Conservation Dis-trict, and the USDA NRCS Waverly Field Office.